On 23 – 24 of May, 17:00 – 20:00 was implemented the training of the Project “RESTART.eu – Reinventing European Solidarity and Raising Tolerance” on the rights of the refugees in Europe and on interactive methods useful to be used during the 14 days voluntary program which will follow in Athens (Greece) in November 2017. 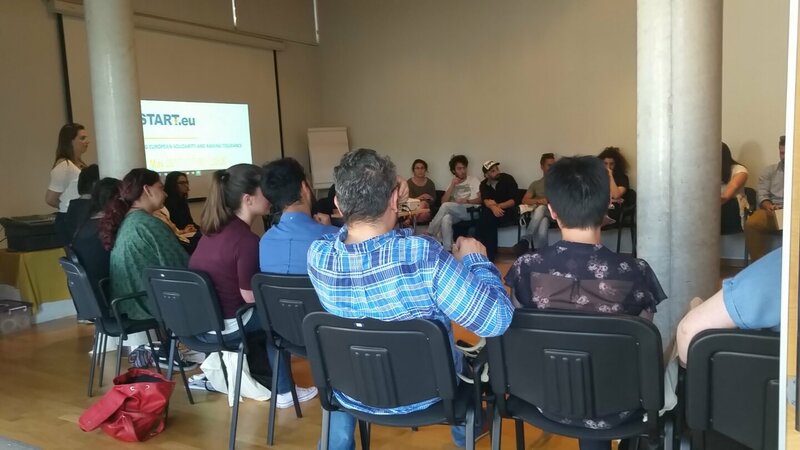 The training took place at Mills Cultural Centre in Nicosia, Cyprus and was hosted by the partner organization of the Project, Cyprus Youth Council/Συμβούλιο Νεολαίας Κύπρου/Kıbrıs Gençlik Konseyias an gathered 40 participants. The training provided all the necessary skills for the volunteers to take part in the project successfully including an intercultural training on the different cultures of the refugees. a partner of the project is pleased to announce the organization of the two-days training which will be held on. During the Training, which was made by the certified by SALTO Trainer Mr. Argyris Choulias, great emphasis was put on building a team spirit among the volunteer participants with the aim of achieving optimum results and fulfilling the pilot objectives of the Program. The participants exchanged their experiences, thoughts and ideas about refugee crisis management and expressed their great interest in participating in the volunteer activity where they will have the opportunity to directly interact contact with refugees at the Camps. Right after the training, the participants had the chance to participate at a photo gallery exhibition under the topic of the migration and refugee crisis, while they commented on the photographs, discussed the feelings caused by them and tried to narrate the story each photograph tells. The next day of the Training, Mr. Alexandre Beddock, representative of the European Youth Forum, as a guest speaker, discussed with the participants about the migration issue and the refugee crisis and the actions made by the EU about the asylum seekers. In addition, Mr. Beddock presented the documentary “Voice of the Refugees”, which was followed by discussion among the participants.